The gastric band is a bariatric surgery by which a ring is placed around part of the stomach to limit the amount of food intake. Around 30% of patients report sustained and significant weight loss following gastric band surgery. In 20% of cases, further surgery is needed following a gastric band procedure. The cost of a gastric band depends on where you choose to have surgery and your individual needs. The pricing differential depends on many factors, such as cost of living, exchange rates, practicing costs or regulatory conditions, which may differ greatly from country to country. Gastric band surgery is part of a family of treatments known as bariatric procedures, including gastric sleeves and bypass operations. It is only recommended in cases where patients are classified as dangerously obese, and aims to reduce the amount such patients must eat in order to feel "full". The band itself is a simple ring which is placed around part of the stomach, and tends to be made out of silicone. It can be fitted very quickly, and the silicone used does not react with body tissue, making allergic reactions very rare. How does a gastric band surgery work? The first stage is for patients to follow a pre-operation diet which reduces the amount of fat around their stomach. This usually lasts for 2 weeks and avoids solid foods as much as possible. The next stage is to implant the band around the upper part of the stomach, creating two segments, with a smaller "pouch" above a larger section below the band. During surgery, the band is attached to a "port" which can be used to inject saline solution into the band, allowing surgeons to calibrate the tightness of the band. The port is then disconnected and the band remains in place. Any small incisions made to insert the band and port will be sealed and dressed, and should heal within a week or two. 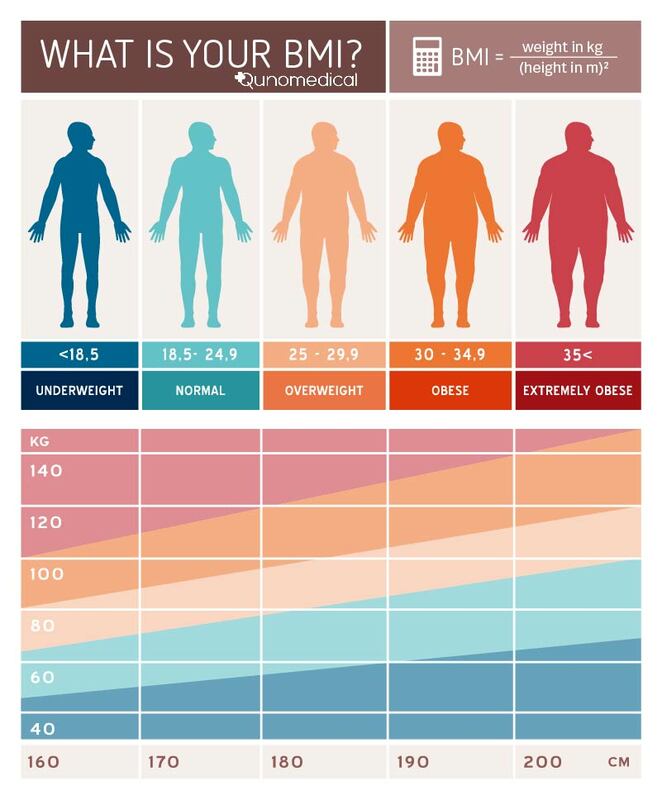 Patients may be eligible for gastric band surgery if they have a BMI of over 40 and are assessed by medical professionals as clinically obese. Doctors will also assess whether the patient has the capacity to lose weight through alternative means, as surgery is generally seen as a last resort, used only when other methods have failed. In some cases, people with lower BMIs may be considered. This especially applies to people who suffer from type 2 diabetes and must carefully control the amount of glucose they consume. All patients will also need to be assessed regarding their ability to deal with a general anaesthetic, which is required as part of the band implantation procedure. BMIs aren't foolproof. Critics have noted that they can confused fat and muscle mass, while the measure bundles together every different body shape. Others have noted that BMIs do not correlate precisely with rates of ill health. However, there is a consensus that BMIs of 40+ suggest a very serious risk to health. Expect a period of preparation lasting 2 weeks, while the procedure itself should be quick and almost always painless. Complications are rare, and the process can be reversed if needed. A brief hospital stay will be needed, as well as regular follow up appointments with gastric specialists, but patients require relatively little contact with medical staff following the implantation. After the operation, patients can expect significant weight loss, providing lifestyle changes are implemented properly. What lifestyle changes are involved after surgery? Lifestyle changes are a key aspect of gastric band surgery. Initially, patients will have to follow intensively managed diets as they recover, gradually adding solids to their meals as they go. In the longer term, all gastric band patients have to learn to eat a healthy, balanced diet. Their band will help them restrict the urge to eat, but most people find that they also have to learn how to eat more slowly. Diets need to be designed to be low in fats and sugars, yet high in protein and fibre - a major new lifestyle change for many patients. Aside from diet, exercise is vital. The aim is to make lasting changes to the way people live so that weight loss is sustained and significant, and physical fitness is a key part of the challenge. Gastric bands is a reversible procedure as compared to the more popular gastric sleeve or gastric bypass surgeries. As explained above, it involves the usage of a foreign body, i.e, the lap-band to create a smaller stomach. Following its initial fame after entering into the bariatric surgery field, the gastric band has now decreased in popularity. This is mainly due to the fact that the procedure requires a demanding aftercare regimen, and the final results are highly influenced by the patient following strict guidelines and regularly following up with their physician. Many surgeons are also shying away from the procedure because of the exhaustive aftercare that goes into making this surgery a success. If you are still unsure about which procedure is the best fit for you, then get in touch with us and we'll discuss possible options and support you through your journery! Always follow the dietary advice of your gastric specialist, who will prescribe a special diet to prepare for your fitting. Try to pan for life after the operation. Research healthy diets, find personal trainers and connect with online support groups. Expect a short stay in hospital, but plan for an extra day or two if needed. Above all, relax and let your surgeon take care of the technical side of things. In the vast majority of cases, patients return home in no time. Focus on eating more slowly and pay attention to fullness. You'll quickly sense that your body doesn't want to consume huge amounts of food, even though part of your mind still wants to eat your pre-operation diet. Socialise and get active. Positivity is a major aspect of gastric band success, while healthy diets plus exercise tend to result in sustained weight loss.